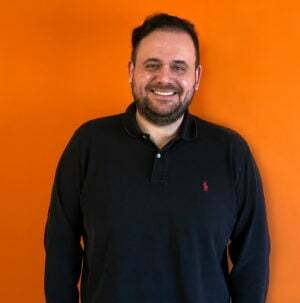 Christopher Pappas, the owner and founder of eLearning Industry, explained, “It’s important that the customer’s voice is heard in this marketplace – not least to help continue to re-shape the future of the LMS software experience. So, we’re inviting the world’s LMS customers to visit our website and submit a review of the LMS software they use. “The eLearning Industry Review Framework takes a holistic approach and requires input from key stakeholders such as users who directly interact with LMS, along with decision-makers who want to evaluate, select and re-evaluate an LMS platform, as well as from LMS vendors,” commented Christopher Pappas. Currently, following an enthusiastic response from LMS customers and users, eLearning Industry has been able to gather representative samples of reviews of – and, thus, include in its research - over 250 of the most popular of the world’s 1,300 or so LMSs. In addition to producing its regular lists of the top 20 LMSs against various criteria, eLearning Industry is using the research to underpin its LMS consultancy service. Would-be LMS buyers can access this consultancy service via the eLearning Industry website. The would-be LMS buyers supply some details about their organisation, along with what they require of an LMS and what they require the LMS to do for them – in terms of such things as cost, features, and scalability. After a four-step fact-finding process, these potential LMS buyers are then given some options of LMSs to consider. “It’s important that the customer’s voice is heard in this marketplace – not least to help continue to re-shape the future of the LMS software experience."